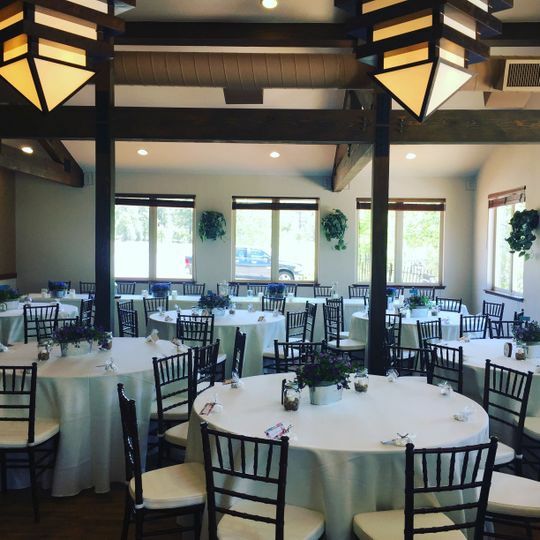 Brand new wedding/event venue in Flagstaff, Arizona. 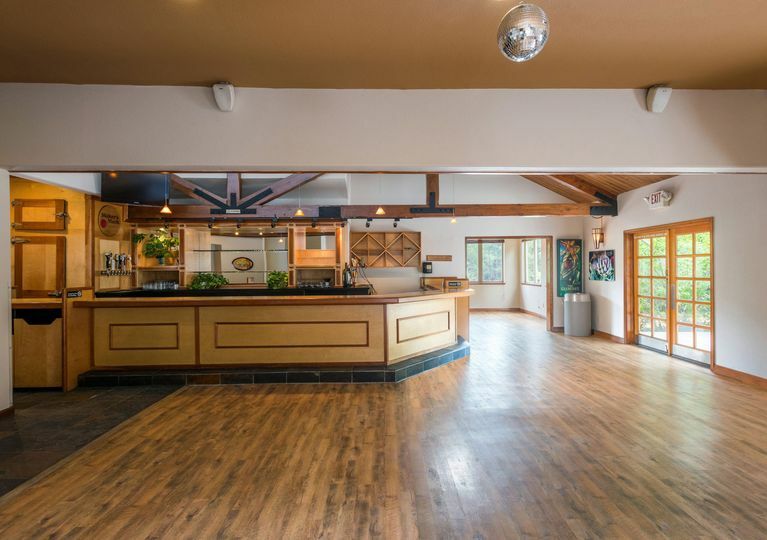 Beautiful country indoor and outdoor options available that are both private and surrounded by woods, but also easy to get to. 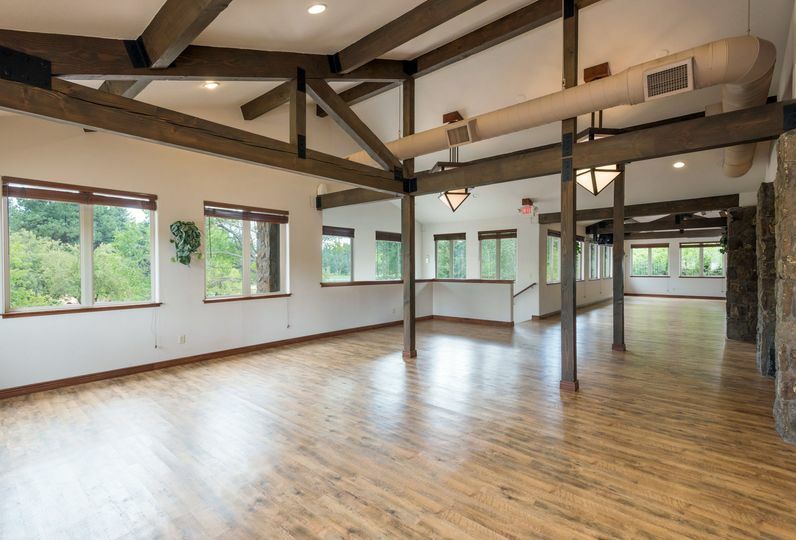 The building includes plenty of room for 150 guests to dine, dance, and celebrate. 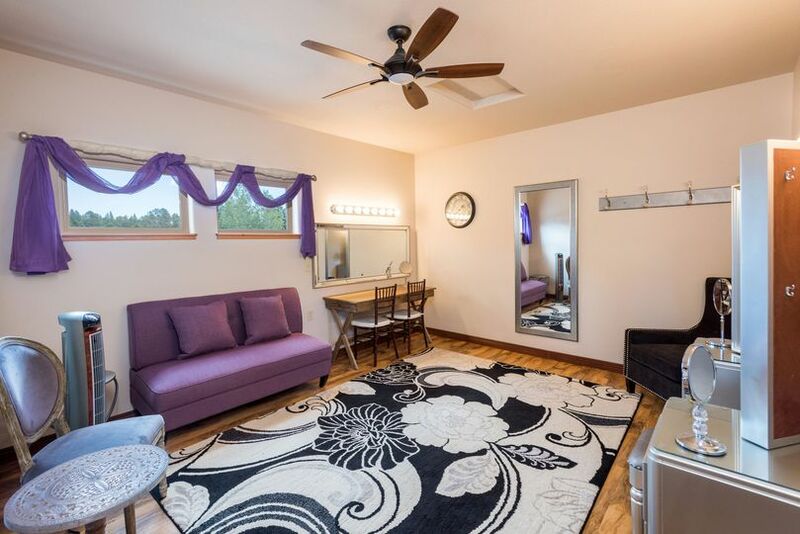 Included is a bridal suite, big built in bar/ bar area, and parking on site. The patio has been recently expanded to allow full capacity outdoors as well. Tables and chairs are included for both inside and outside. Caterer of your choice, cater you own alcohol. Available all seasons of the year, and every day of the week. Viola's was incredible! 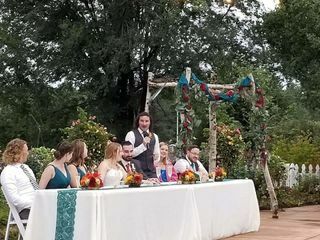 We just had our wedding there 2 days ago and I just cannot get over how amazing it was. The staff was efficient and so kind! Jessie, the manager, was flexible, attentive and just made our day as easy as it could be! 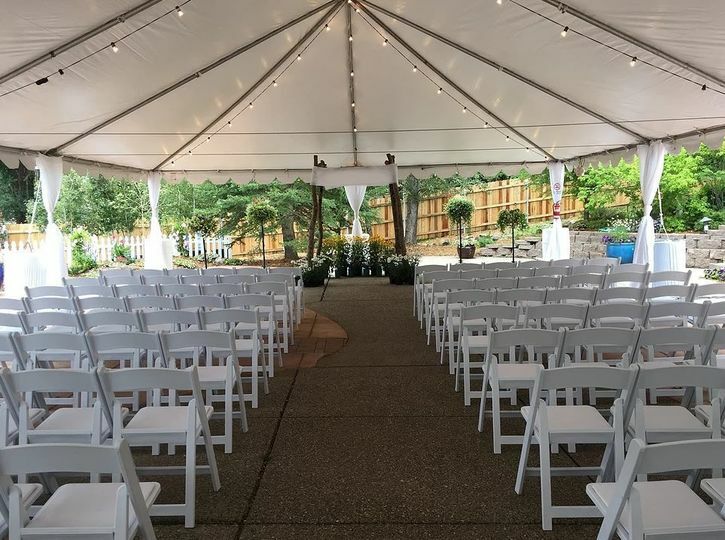 We wanted both the ceremony and reception out on their beautiful patio and under that gorgeous tree, but our day presented challenges of sporadic rainfall! Jessie and her team were ready for anything, and despite the rain, we never had to make any sacrifices and got to have our perfect vision thanks to her! I get teary-eyed just thinking about it again. Way to go, Viola's Team!!! You made it perfect! 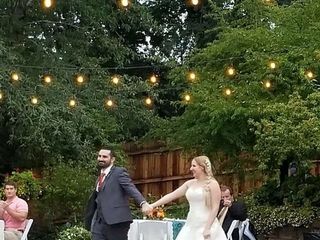 Me and my (now) husband got married at The Gardens at Violas and we couldn't be happier with the result. 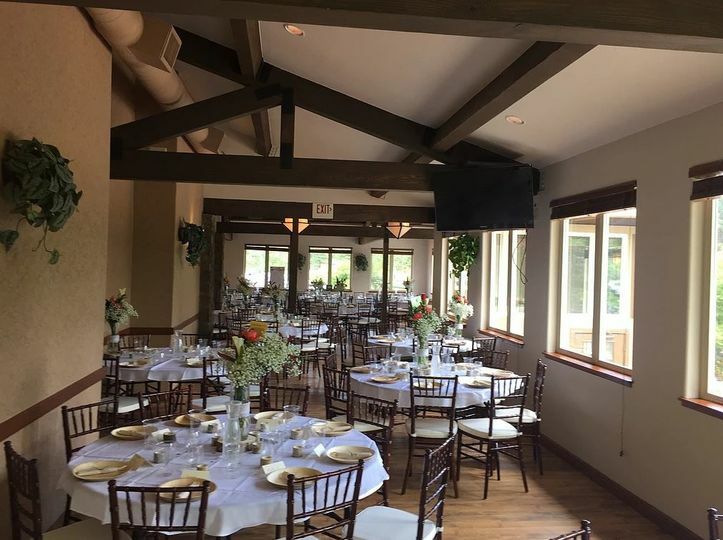 Initially we were a tiny bit nervous since it was a newer venue with relatively few reviews (specifically at the time we booked it in summer 2017), but the venue had every single component that we wanted in our wedding venue and we went for it. 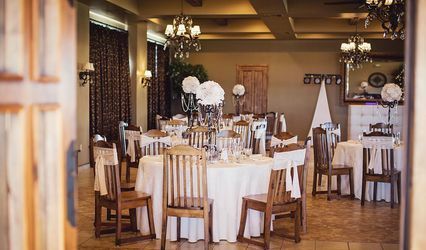 We booked the venue about 10 months prior to our wedding date, and Jessie (their event coordinator) was with us every step of the way. All of our emails/messages to her were answered quickly, and she always had options for us while also lending us her expertise. 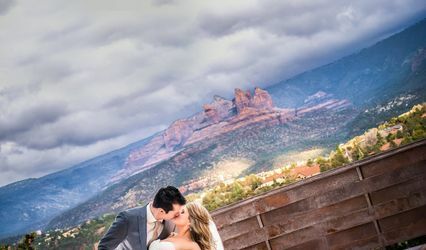 Our wedding took place during monsoon season, and she helped us develop a contingency plan in case the weather turned south (which it didn't - thankfully!) and as a result we felt incredibly prepared despite the stress of the day. She also had wonderful vendor referrals for us, all of which knew her and had worked with her/Violas before, which made things even easier. On the day of, Jessie was there with me all morning to help tie up any loose ends and also help take some of the stress off of me as I got ready. 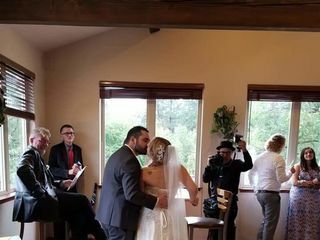 As the ceremony start-time came up, she took control and signaled everyone and made she everything was timed perfectly. After it ended, she was there taking care of us/everything during the reception. For example, when my husband got up to go to the bathroom during dinner, he got stopped by friends/family multiple times. She helped pull him out of the conversations to ensure he could get back to his seat to eat dinner (much to his relief!) and she did the same for me throughout the night. She helped get everything straightened up at the end of the night, and we were able to come by the next morning to pick up the rest of our decorations/items so we didn't have to worry about loading up cars at the end of the wedding. 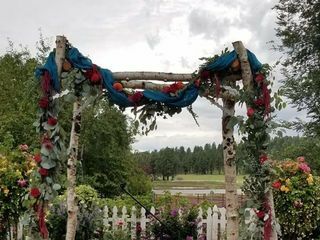 The gardens were absolutely beautiful during this time, and we received so many compliments from everyone about the venue. If I could give 10 stars for every category, I would! 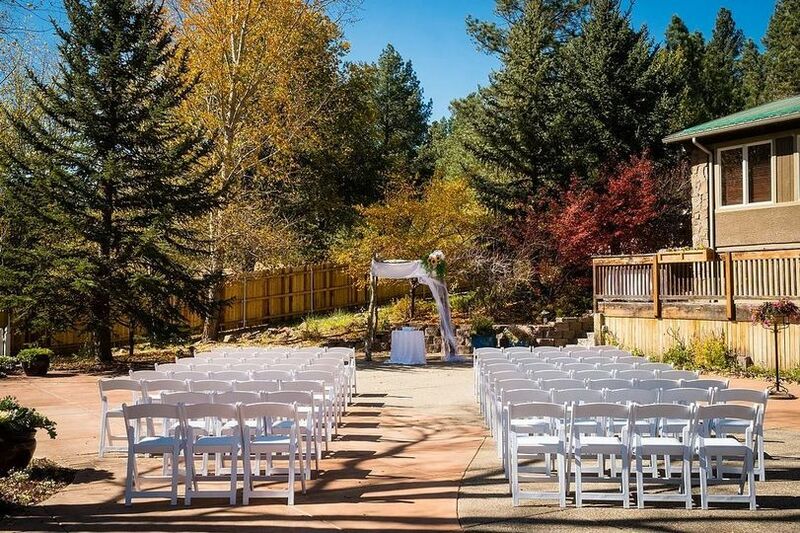 We were sooo happy to have our wedding here. 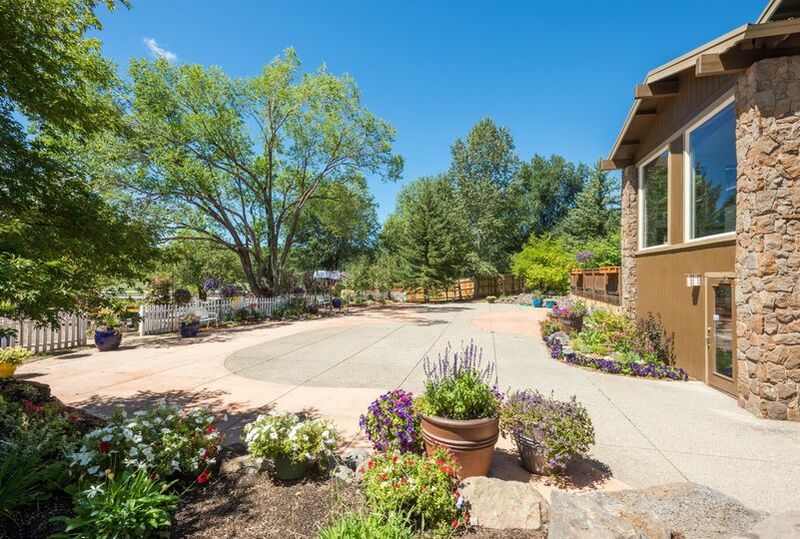 The garden setting with flowers and a giant tree wrapped with lights have it that romantic rustic feeling! There is a farm next to them (clean green grass, red barn) and it also added to that rustic vibe. 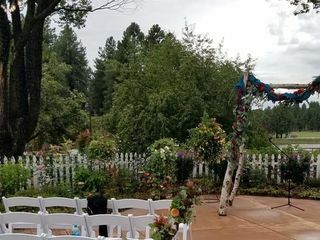 There are endless photo opportunities on the grounds and behind the venue there are tall pine trees and that gave us our forest vibe for our first looks. There are not enough words that can describe how much of a pleasure it was to work with Jessie their event coordinator!! 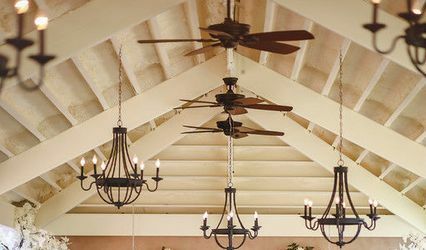 She is extremely helpful from making suggestions (from vendors to wedding flow/timeline), calming and attentive (never forgot any details we would tell her) and always soo welcoming and warm. My husband and I felt like we knew her for soo long after talking with her a couple of times!! I absolutely love it here and you will too!